Editor’s note: As last week’s $2.3 billion dollar deal between Lenovo and IBM and the recent sale of Smithfield Foods to a China-based company clearly indicate, business bonds between the U.S. and China are increasingly important to North Carolina’s economy. One of the groups striving to improve the business atmosphere is the N.C. Chinese Business Association. It will be hosting a Chinese New Year Dinner on Feb. 4 February 4 at RTP Foundation, and the program will include a panel discussion involving three senior executives who will discuss their perspectives on the past, present, and future of NC-China relations. Leading the panel will be Grace Ueng, a Triangle entrepreneur and adviser to the NCCBA board. In 2003, after serving on management teams for five successful technology ventures, Ueng, founded Savvy Marketing Group, a boutique marketing strategy and management consulting firm. Ueng has served on adjunct faculty at both UNC Kenan-Flager and the international MBA program at Fudan in Shanghai, in joint venture with MIT Sloan School. She was recently named one of eight women of influence by Audrey, a national publication that covers the lives of Asian-American women. RESEARCH TRIANGLE PARK, N.C, – Growing up in Beijing, Dr. YanChing Zhang graduated from renowned Peking University with degrees in electrical engineering and environmental sciences and marched in Tiananmen Square. 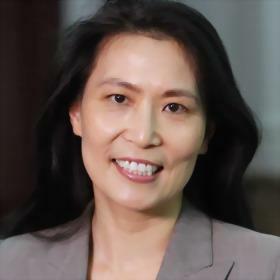 Zhang earned her PhD in computational fluid mechanics from NCSU, MBA from Duke, and has led a vibrant scientific and business career from Lockheed Martin to most recently IBM, where her contributions spanned the gamut from sales to reporting directly to the SVP and Director of IBM Research, Watson Lab. Your story is fascinating. Share with us a snapshot of your growing up in China and transition to life in North Carolina. I was born and raised in China through the Cultural Revolution. I was very lucky to attend Peking University and came to the U.S. for my PhD studies shortly after the 1989 Tiananmen Massacre, which I escaped only through the help of hundreds of people, many nameless, to whom I owe my life. After four years of PhD research at the U.S. Environmental Protection Agency (EPA), I started my professional career by first joining ManTech Environmental, then Lockheed Martin, before joining IBM where I spent the last decade. The U.S. has molded me into who I am. Like many from China, I became a U.S. citizen at my very first opportunity. I believe our two countries share many common values and can help one another into the future. This is an exciting time for Chinese companies to establish and leverage relationships here in NC and for NC companies to enter China. And at the end of the day, “helping businesses to make money” and the inevitable personal relationships or resulting “guanxi” was why I thought we collectively could benefit from an organization devoted to help doing this. So that is when you founded the non-profit, NC Chinese Business Association (NCCBA). Many people of our generation desire to start a non-profit in their “retirement” and you did so before even turning 40. What impact are you most proud? During 2004, three founding board members (Frank Wang, Lin Wu, and I) were invited to participate as panel members for an Asian-American student career development conference. That event was so well received that we thought we could give something back to our adopted NC community by building a platform to provide such feedback on an ongoing basis. That was the birth of the NCCBA. What makes me the most proud is seeing NCCBA evolve into a platform to connect each other in doing business between NC and China; and a major catalyst in bridging the Sino-NC business relationship, and a place for giving back to the community by enhancing business ventures with China. Many companies in NC are doing business in China, wish to start, or want to do more. What is the role of the Communist Party of China (CPC) in doing business in China? What advice can you offer to NC companies in dealing with the Chinese government? Watching the double-digit growth through the last decades, the government certainly did many things right through its “economic freedom” policy. The communist government gave the people the freedom of practicing capitalism without the capability of threatening the CPC. Ninety-nine percent of the people in China do not care much about who and which party is in power. They want to be able to put food on the table and want the opportunity for a better life for themselves and their children. The Chinese government knows this. It will do everything possible to keep the GDP growth because it is dangerous to have many unemployed people sitting on the street without things to do! A part of what we strive to do is to convince companies that want to do business in China that they must have and execute a strategy in developing local talent. Parachuting talent from other places into local subsidiaries is not a sustainable strategy in China or anywhere. When western corporations parachute all the top officials into its Chinese operations, and talented local Chinese see little chance of career advances, where do you think these talented people go? Therefore, building the right local team or partnering with local companies who can execute is paramount for long-term success. Certainly, we have seen great strides of change in the last two decades on this front. Yes, I have witnessed first hand the rapid rise of MBA and eMBA programs in China having taught there in the last decade. Because western and Chinese companies want to hire more locally, they can’t produce business people fast enough. And of course, we see how UNC and Duke are both investing in programs and even campuses in China. What do you see as the aspirations for the rising middle class in China? I see two things. First, there is a growing desire to build a stronger China. China has had a history of being invaded by foreign countries over the last two hundred years – it is a humiliation to many Chinese and fuels a common need to be proud of a strong and growing China. Second, the middle class, like everywhere else in the world, simply wants to provide a better life for its children than they themselves had. What are the biggest changes you predict will take place in the next 10 years to this growing sector? I cannot predict, but if I had to offer an opinion, it would be that we will continue to see a gradual release of decision making from the government to the people. The reality is that both the people and the government will not want to give up the power that they hold. There are two other realities, however, at work that to an extent mitigate one another. The first is that the middle class is mostly focused on providing a better life for themselves and their children as I mentioned earlier. For the most part, the general population is not focused at all on achieving a broader voice. The second reality is that the longer it takes from the birth of the middle class to its growth into a majority, the more gradual the release of power from the government. Said differently, if this process is revolutionary, there is great risk. If it is evolutionary, there is a needed consistency and predictability and no worry about a sudden cataclysm. Do you have interest in returning to China? What advice do you give to young people from China now in the U.S.? Assembly workers in China.The U.S. has molded me into who I am today. Most of us would not hesitate to become a U.S. citizen at our first opportunity. I love both countries, one gave me life, and one gave me knowledge. Most of us want to build a better life by contributing to the world around us effectively. We see that building up our career as a vehicle to do this. I do not recommend my ethnic Chinese mentees to develop a career with a goal of going back to China – most in fact want to stay in the U.S. for better opportunities and lifestyle. But most are not able to stay here, as they do not find work sponsors. What advice/thoughts do you have here? Set your goal high and do your very best to reach that goal. You will not regret the choices you make later in life. For me, over the last twenty years, if there was a right opportunity to advance my career by going back to China, I think I would have returned personally as well – but it did not come. What challenges have you experienced, if any, in integrating to U.S. culture? Corporate world? As a Chinese-American, I am part of the fabric of the U.S. culture. In the past, like many of the first generation Americans, we looked inside ourselves as though we did something wrong – which we must change – to fit just because we are Chinese-born Americans. As I grow older, I realize we cannot and should not change who we are – we are part of the culture the moment we swear to serve this country and become a U.S. citizen. I believe America in all ways is best when it seeks out and leverages the best elements in each of its diverse ethnicities and incorporates them into its mainstream capabilities. What are ways that you can stand out here in the U.S. as one who grew up in China and went to a top university in China? I am not sure I stand out at all. I have tried and advise everyone I mentor to commit to being the best in what you do, leverage your strengths and eliminate your weaknesses; everything else will take care of itself. What do you see as the biggest opportunities in business between NC and China? Biggest challenges? Science and Technology and Agriculture present the biggest opportunities to NC, with the first two being the most important. All Chinese students have heard of New York City and California, there is an excitement, sexiness when these regions are mentioned. North Carolina doesn’t have that. However, we have much to offer and in many ways, we are even better. Our task, I think, is to promote North Carolina – to market it if you will – and that’s one of the core reasons that NCCBA exists. In North Carolina, that means working with the business and public sectors to build this awareness in China to establish and embellish the North Carolina brand. The third of these is more difficult to address. There is an understanding, perhaps a misunderstanding, that the American South, North Carolina included, is more laid back, less fast paced, less edgy, more cautious, and less risk-taking. I believe we simply need to emphasize the world-class and forward-looking education we have and how that drives a talent base that takes second place to no other part of the U.S.
About Grace Ueng: In 2003, after serving on management teams for five successful technology ventures, Grace Ueng, founded Savvy Marketing Group, a boutique marketing strategy and management consulting firm. Ueng has served on adjunct faculty at both UNC Kenan-Flager and the international MBA program at Fudan in Shanghai, in joint venture with MIT Sloan School. She was recently named one of eight women of influence by Audrey, a national publication that covers the lives of Asian-American women. About the NCCBA: Since 2004, the North Carolina Chinese Business Association (NCCBA) has served as: (1) dynamic networking platform to connect entrepreneurs and those in larger companies in doing business with China. NCCBA has also promoted Sino-U.S. friendship and collaboration. (2) a major catalyst in bridging China – NC business relationships, hosting Chinese business delegations to NC every year, to create and sustain successful and forward thinking North Carolina businesses. (3) provider of educational assistance sponsoring over 100 activities to educate and advise members in starting new businesses or progressing in corporate careers in NC. For more information, see www.nc-cba.org.